In a May meeting of The Young Ladies Guild of Sparks Memorial Hospital, Mrs. James (Flo) Pattee proposes they sponsor an amateur theatrical production. It is to be a fundraiser for the Guild and will hopefully promote the formation of a local theatre group. Having previously been involved in theatre in another state, Mrs. Pattee agrees to direct the proposed production. During subsequent meetings during the year, a show is selected, committees are organized, and auditions are held. The Little Theatre of Fort Smith is launched, sponsored by the Guild who is to receive 75% of show proceeds to fund surgical equipment for Sparks Hospital and pay for charity cases. February 11 and 12 – FSLT’s first production, Mr. and Mrs. North, is presented at the Junior High School. Total attendance is reported at over 1,500. In the spring, a meeting is held at the Goldman Hotel to adopt a constitution and elect a 15-member Board of Directors. 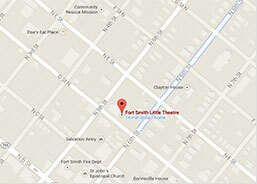 The Little Theatre of Fort Smith (later dba Fort Smith Little Theatre [FSLT]) is incorporated. At the first Board meeting, Mrs. Thomas (Babe) Foltz is elected as Founding President. FSLT continues to be sponsored by the Sparks Young Ladies Guild. An agreement is set to split the profits 50-50 with the Guild to provide support and “traction” for the newborn theatre group. 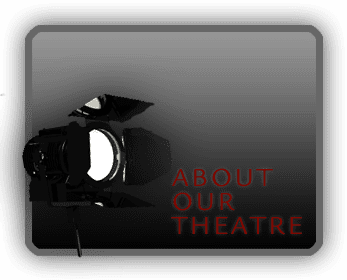 Three productions are performed in the 2nd Season spanning fall 1948 – fall 1949 season. 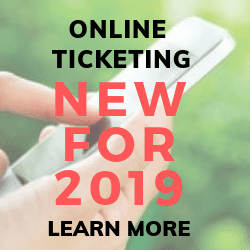 In the October, Season Tickets go on sale for the next season, priced at $3 and $5 per person. During 1950-51, FSLT is supported by an agreement with the Fort Smith Junior Chamber of Commerce whereby FSLT receives 60% of the net profits. December 11 – FSLT presents its first musical production, Up In Central Park. Guest Director Donald Morse of the Empire Producing Company of Kansas City, Guest Star Ronald Jordan. November 6 – FSLT presents its first 5-day run, Southern Exposure, at the Goldman Hotel Ballroom. It is the first FSLT production “in the round”. FSLT becomes independent, relinquishing all sponsorship and partnership agreements. 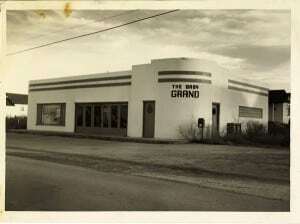 The group raises a down payment of $3,525 to buy The Baby Grand Grocery Store at 3800 North “O” Street. In that fund drive, the only substantial individual donation is $2,000 from Ed Louise Ballman. FSLT would continue to benefit from her generosity throughout her life, and long after her death through gifts from the Ballman Foundation. The purchase price of the building is $15,000. Obtaining a mortgage for the balance is the next challenge. Local lending institutions view the young theatrical group a poor risk. But a theatre patron who is the Managing Secretary of a Savings & Loan persuades them to make the loan. There is never a missed or late payment. Renovation begins to convert the building into a theatre-in-the-round. With the exception of electrical wiring, all the work is done by volunteers whose only qualification was enthusiasm. Seating capacity is 164, and performances will have to work around support poles rising from the stage floor. One Foot in Heaven, presented in the Ward Hotel and directed by Mrs. James Pattee, has the double distinction of being the first independent production of the Fort Smith Little Theatre and the last to be presented on any stage other than our own. The frenzy of renovation continues into October, with work going on all through the night of dress rehearsal for Skylark. But the goal is met, and the doors open on time for the first production on O Street. It is also the last to be directed by Flo Pattee who is moving out of state. She had first presented the idea of local theatre to the Sparks Young Ladies Guild, and had since directed all productions but one. December 8 – Payne Morrow accepts the role of Director and presents Affairs of State. May – There’s Always a Murder is the first show by a ‘Home-Grown’ director, Miss Ann Sims. August – FSLT presents its first Dramatic Reading, The Little Foxes, by Lillian Hellman. Two Dressing Rooms and Set Storage Room are added to the building. May – The first non-Fort Smith resident to participate at FSLT, Barbara Bonds from Muldrow OK, makes the trip across the river to play the role of Dora in Night Must Fall. FSLT institutes the Producer System to increase the mechanics of putting on good plays. Air-conditioning is added to the building. This allows for summer productions. FSLT begins presenting 4 shows each season. Jay Anderson offers his design of the Harlequin Man as a sign for the O Street theatre. FSLT presents its first home-grown musical, Little Mary Sunshine, directed by Polly Lowery. Twentieth Anniversary Production: FSLT presents Mr. and Mrs. North, in honor of the first production of the group. Present members of the Sparks Guild and Mr. and Mrs. Pattee were guests. An Apple Tree is painted on the lobby wall by Sammie Brown, showing every production and the year the show was performed at FSLT. Two new air conditioners are added to the O Street Building. A special production of The Magic of Musical Broadway was presented at the Fort Smith Civic Center, directed by Jay Burk and Sondra Foti, as the first step in raising funds for a new theatre. It was decided to use the funds raised through The Center, Inc. and money from the sale of the FSLT “O” Street property to renovate the existing art center and build a new theatre which would seat just under two hundred people. Due to limited funds, backstage costume and set storage would be cut from construction. It would be more than 20 years before the rest of the facility as originally planned would be built. April – Brad Kidder, an active thespian since 1958, delivered the last lines spoken on the “O” Street stage in the play Born Yesterday. Brad had also been a cast member in the 1959 production of the same play. June – The new location for the Fort Smith Little Theatre at 401 North Sixth Street resounded with song and dance as a large cast presented The Best Little Whorehouse In Texas with Jay Burk at the helm. This tremendously successful show was presented with appreciation for the past, and excitement for the future of FSLT. FSLT graded and graveled two lots owned by the Fort Smith Art Center for parking to be used by patrons of both organizations. A FSLT fundraising campaign provided paving and lighting of 5 lots—2 owned by the Art Center and 3 owned by the Fort Smith Art Center. Auditorium receives facelift including new carpet, paint, and aisle railings. A major capital campaign financed expansion of the 6th Street theatre, adding restrooms, green room kitchen, and set/costume/prop storage. This addition completed the plan originally drafted for the building. Generous patrons and extra performances funded the FSLT purchase of 5 lots (3 paved and 2 unpaved) from the Fort Smith Art Center. With support from patrons and local vendors, FSLT completed a renovation campaign entitled Back To The Future. The project included expansion of mezzanine storage, installation of new HVAC, and remodeling of lobby, restrooms, box office, business office, kitchen, and lightbooth. The stained glass Harlequin Man, the symbol of FSLT, was moved to a place of prominence in the center window. The project also involved archiving and showcasing the history of FSLT. Cast photos and show programs dating back to 1947 were digitally preserved and posted online. In addition, all cast photos are now shown on lobby TVs. Significant HVAC and drainage improvements were made in conjunction with a complete re-roofing of the 29-year-old facility.